There must be something about the atmosphere or the water in Seattle, given its musical impact upon the late Jimi Hendrix and Kurt Cobain, and latterly upon Peter Buck. Here from the same city we have a new release from the Georgetown Orbits who are inspired directly by the sound and the feel of Jamaican ska. 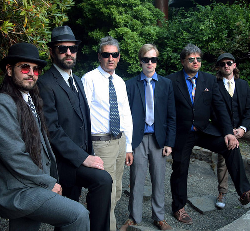 Since the band’s conception in late 2004 the Georgetown Orbits have shared the stage with leading names including the Skatalites, Clinton Fearon, The Gladiators, Israel Vibration, The Roots Radics, the (English) Beat and Pato Banton, and toured the US west coast with New York’s ska band the Slackers. The fourth album by the Orbits is due for release in May 2018. In the meantime we have this single, ‘Keep Your Chin Up’, to consider. 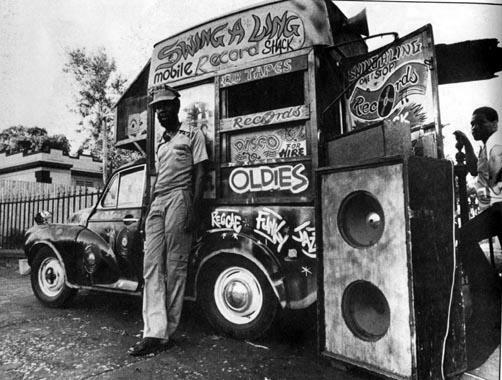 Released by Portland ska label, Simmerdown Productions, it also features the classic reggae song ‘Picture on the Wall’ as the B-side. It seems that the Pacific Northwest is the place to be if you’re serious about contemporary US reggae. British reggae band New Town Kings are back with an uncompromising new track entitled ‘Borderline’, focussing on migration and upon politically-motivated hostility towards difference and towards those who seek to escape persecution. The New Town Kings have featured on these pages before (see reggaemusic.org.uk 14th December 2014). The eight-strong ska/reggae band seek to merge old-school Jamaican rhythms with a novel take on UK-inspired ska and they have already built up a strong live reputation. In April and May 2018 the New Town Kings will be touring in England where you can have the chance to hear their forthcoming album ‘Reach Out’ live in a relatively small-scale venue setting.